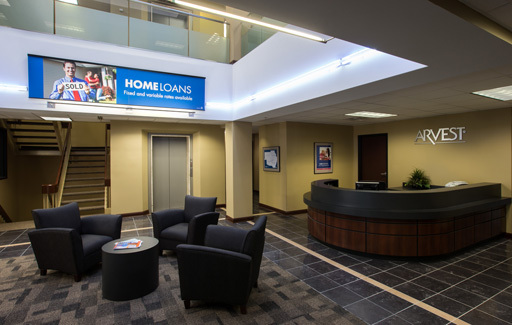 The interior remodel of Arvest Bank’s Kansas City Headquarters adapted an existing space to incorporate more of the bank’s brand elements and refresh the overall space. 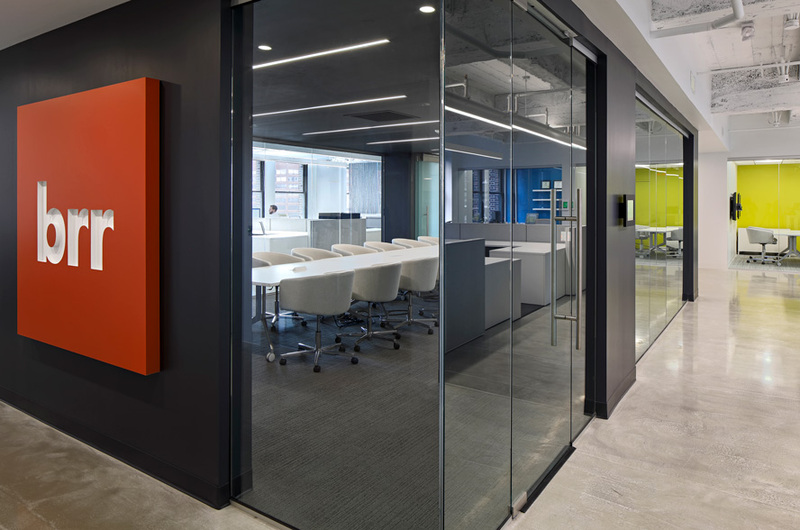 Our design solutions incorporated existing features like a 2-story atrium, and introduced a more open layout to the space. Office partitions were reworked in order to increase the flow and enhance the connection between private offices and employee work areas. Varying levels of finishes were used to visually distinguish between retail and investment operations. The mix of clean lines, natural light, cool colors and dark finishes combine to produce a contemporary aesthetic.